For centuries the world has enjoyed Irish Music along with lyrics that have stood the test of time bringing with it the true essence of Ireland, its history, its people and a tradition which is truly unique. 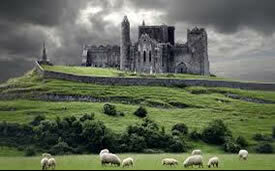 Bells Irish Lyrics would like to share with everyone, the spirit of Ireland through music and song. Every song tells a story which is sincere, honest and heartfelt. No matter the theme, the lyrics capture that certain something that is genuinely captivating; the stories of a country steeped in history - the times, the places, the hardships, the battles for freedom and the lessons learned. We look at the best songs Ireland has to offer including traditional folk songs, ballads, love songs, war & rebel songs, drinking songs, and songs from contemporary artists in the modern era. We start with A Little Bit of Heaven featuring John Gary, and finish with Zoological Gardens by The Dubliners with an array of great classics in between. It doesn't get much better than that! 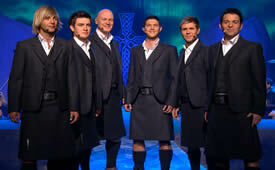 Each category relates to songs and artists - if you click on the 'C' category, you will find songs starting with C as well as artists whose band/stage names or surnames begin with the letter "C", e.g., Celtic Woman, Liam Clancy,The Corrs etc. The Traditional Ballad Index - designed to help people find reference information on folk ballads. Wikipedia - general information about artists and available songs. Vaughan Williams Memorial Library - Roud Indexes - Folk Song and Broadside archive. The Mudcat Cafe - specialize in folk music lyrics with general information and discussion forums about numerous song titles. Internet Archive - a digital library of Internet sites and other cultural artifacts in digital form providing Universal access to all knowledge. This link will take you to a book compiled by Manus O'Conor of ancient Irish songs and ballads with over 157 pages comprising of patriotic, descriptive, historical and humorous gems, characteristic of the Irish race. If you would like to see your favourite Irish song lyrics added, please drop us a line and make a request, or you may prefer to send us a copy of the lyrics - you may even like to make a comment about the song - why you like it, what it means to you etc. Hope you enjoy the site and with your support, we can captivate the world with an appreciation of Irish Folklore and the lyrics that truly convey the spirit of Ireland. For all Irish music lovers the world over, here is a beautiful piece called The South Wind played by Joanie Madden - band leader, flautist and tin whistle player from the band, 'Cherish the Ladies' accompanied by John Boswell on piano - from the album, Song of the Irish Whistle .